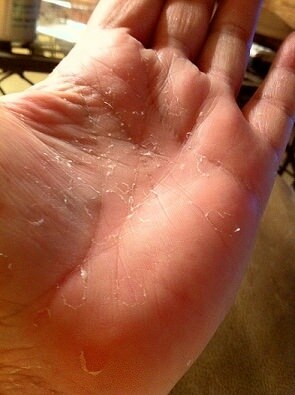 The skin around the palms and fingers is very much delicate and sensitive so it is common that those areas get peeled. 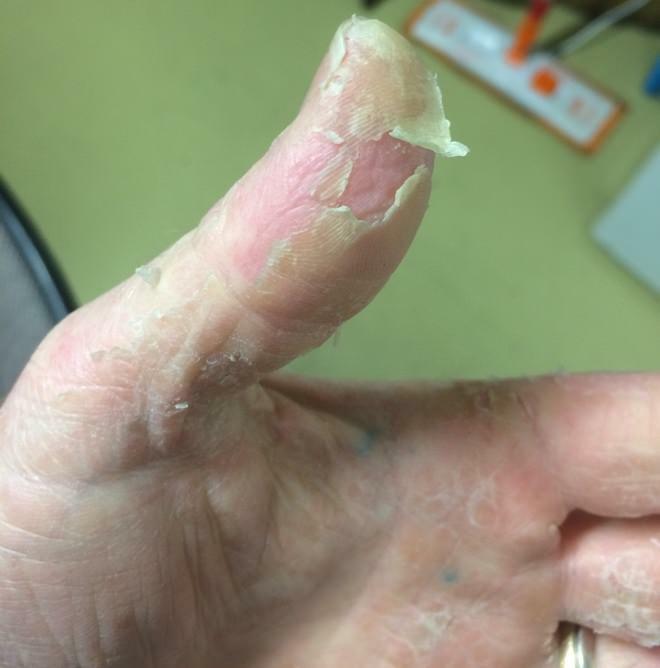 If you never try to keep your hands in the proper care then you may suffer this problem of peeling fingertips. It is embarrassing and cause so much discomfort and worry. Many causes might affect this problem but some of them are dry skin, eczema, sunburn, cold and dry weather, use of harsh chemicals, frequent washing of hands, and allergies. Infections like fungal infections, vitamin deficiencies, staph infections and others. Soak your hands in warm water for 10 minutes regularly in order to deal with peeling fingertips. 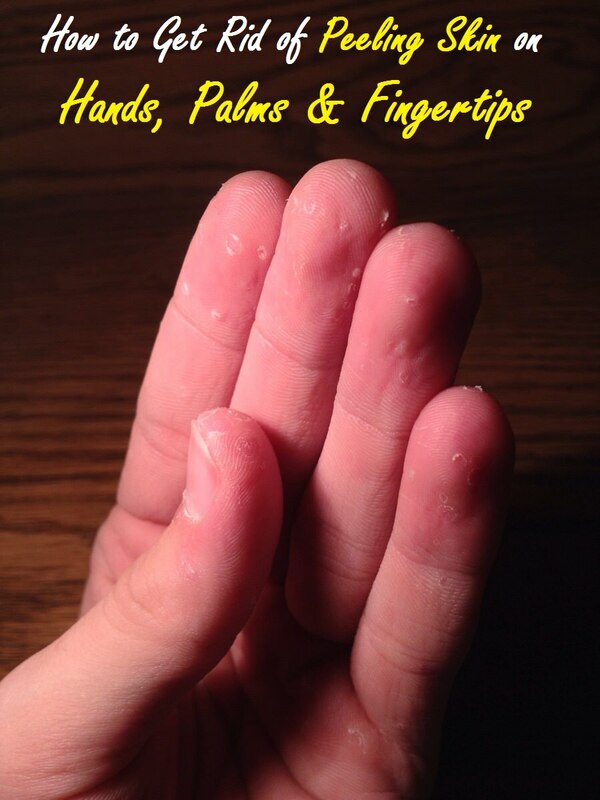 You will get two benefits such as the palms and fingertips will become soft and the dry skin will fall off. If you want better results then you should add some honey and lemon juice to the warm water before soaking the hands in warm water. After that, pat dry your hands and apply some good moisturizer, vitamin E oil. Apply a little amount of olive oil in order to maintain the good moisture level of your hands. Cucumber is essential to be used to treat peeling fingertips. Cucumber helps in keeping your skin soft and moisturized all day long. Take a fresh cucumber and cut it into thick slices. Rub these slices on the affected skin in a gentle manner so the juice gets absorbed well into the skin. You can apply the grated cucumber on the affected skin too for 30 minutes then wash it off with lukewarm water. Repeat the process daily until you satisfied with the results. Another common ingredient present in your kitchen is oat that is amazing for peeling skin. It effectively removes dead skin cells from your fingers and makes it soft and supple. Take a large bowl filled with warm water and mix a handful of oatmeal powder in it. Soak your hands in this solution for 15 minutes. Wash your hands with clean water then pat dry gently with the help of a soft towel. Follow this remedy daily before sleeping at night. Coconut oil is an excellent remedy for hundreds of skin problems including the peeling of skin. It keeps your skin always moisturized and smooth. Coconut oil has medium chain fatty acids that gets penetrate into your skin immediately and thus it fights against the dryness, itching and flaking. It also acts against the skin infections due to the presence of antifungal and antibacterial properties in it. Apply coconut oil on your peeling hands and fingertips for certain times a day. Leave it overnight and wash it off in the morning. Milk is also used in treating the peeling skin. Drink a glass of milk including a little honey in it before sleeping. It will keep you relax all night and will treat the dryness of skin. Milk is said to be a natural skin moisturizer which readily affects the skin to make it smooth like butter. Use milk with higher fat content for this remedy. Add two tbsp. of milk in one tbsp. of honey. Massage with this mixture on your skin gently. This will hold your skin moisture. Otherwise, you can soak your fingers in warm milk for 10 minutes regularly then wash with water. follow up with a moisture or just vitamin E oil. Aloe vera gel is also an excellent remedy for all skin problems. Simply apply aloe vera gel in your peeling areas. Aloe vera contains cooling and soothing properties so it removes the dryness of your skin. It will lock the moisture and protect the skin from various infections. Extract the aloe vera gel from an aloe vera leaf then apply on the affected skin fewer times a day. Drink two tbsp. of aloe vera juice daily. Olive oil is a great moisturizer for dry skin and thus for peeling hands and fingertips. Soak your fingers in warm olive oil that will moisturize your skin in a deep manner and nourish it. Olive oil has vitamin E in rich content that promote the skin healing. Take one-half cup of extra-virgin olive oil and slightly microwave it. Pour the warm olive oil in a bowl then add three drops of lavender essential oil. Soak the dry fingertips in the warm oil for 10 minutes. Rinse your hands with lukewarm water, pat dry and then finally apply moisturizer. Honey contains healing properties that help in soothing and protecting the peeling skin. It is a natural antibacterial that prevents infection. Rub a natural pure honey on the affected skin. Leave for 20 minutes then rinse with lukewarm water. Prepare a mixture of honey and olive oil then apply on the skin to keep it soft and smooth. In a small bowl, add two tbsp. of sandalwood powder, three tsp of rosewater and some honey. Apply on the affected area and leave for 20 minutes then wash off with a mild soap. Mint juice has cooling and soothing properties. You can use it on your peeling fingertips freely. It works greatly as a moisturizer that prevents the dryness and eczema. Take some fresh mint leaves and extract its juice. Apply the mint juice all over the affected skin before getting to bed. The banana pulp can also be beneficial for peeling hands. It’s a great natural moisturizing ingredient for your skin. You can make a paste by combining the banana pulp with sour cream, sugar and olive oil to help your skin heal faster. Mix banana pulp, sour cream, powdered sugar and one tbsp. of olive oil (you can use ripe avocado pulp instead of banana). Apply the mixture on the affected skin for 30 minutes. Wash and pat dry your hands then finally apply some good quality moisturizer. Do this daily for few days. Drink plenty of water throughout the day and keep your skin hydrated all day long. Protect your hands from sunlight and while working, washing dishes or doing other chores, always wear gloves. Include vitamins in your diet. Moisturize your peeling skin with moisturizer, hand lotion or just vitamin E oil. Do not expose your hands to harsh chemicals.